This painting is the second in a series of self-portraits. It refers to the despair that can be cause by the cumulative effect of housework. 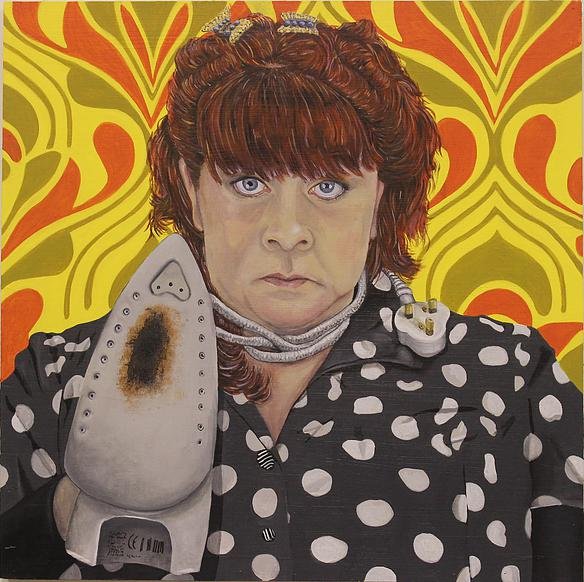 The non-stick iron has become soiled and sticky by having to iron clothes that claimed to be 'non-iron'. I am an artist, mother and grandmother, living and working in West Cornwall. I have recently added painting to my practice.